The Three Lions have seen a dynamic shift in their approach and could be very effective in the times to come. . .
June 27, 2016, saw one of the most unanticipated upsets in recent international football history. Euro 2016 was on and a determined and burly Icelandic team had already overwhelmed one and many by qualifying to the Round of 16. 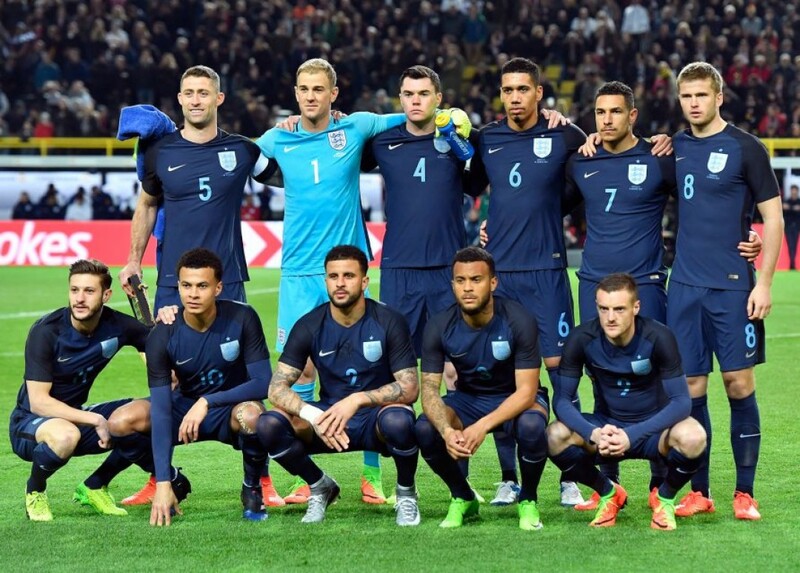 The Strakarnir Okkar were set to face perennial heavyweights but under-whelmers, England. As the match ended, Iceland had defeated the Three Lions 2-1 and the more celebrated rivals cut a dejected look on the pitch. There was something clearly wrong with that side in terms of man-management, positioning on the pitch and getting the best out of the options available. Roy Hodgson immediately resigned after the shameful loss and the whole country plunged into a sigh of relief. 269 days later, things have changed. Not just on the managerial front, on the pitch as well. England have been defeated 1-0 in an international friendly against European heavyweights Germany, but they’ve been lauded for their performance on the pitch. Let us take you through the tactical and formational changes the side has seen in just about nine months. The national team impressed one and all in a graceful and 'tactfully smart' performance in the 1-0 defeat against Germany. Gareth Southgate has opened the floodgates in the national team, literally. Youngsters seem to have found their feet under him and are playing mature roles. With four first team strikers out, Southgate must’ve been given a free hand to take the team to a graceful defeat. Amazingly, his side was very close to victory. It was a moment of brilliance from farewell man and deservingly so, Lukas Podolski, which turned the tide in the German ship’s favour. Playing a 4-3-3, ‘revolutionary’ England manager Roy Hodgson fielded attacking full-backs in Danny Rose and Kyle Walker. While Eric Dier was given the screener role, Wayne Rooney and Dele Alli played in the centre of the midfield with Harry Kane as the central strikers and Daniel Sturridge and Raheem Sterling acting as inverted wingers. Tactically, Iceland were not rigid. They played the game fast and were very direct. Glyfi Siggurdson was ruling their creative midfield and if there have been Spartans on the football pitch ever in international game, here they were. Roy Hodgson though seemed uninterested about this fact. He was playing footballers in the centre of the pitch who were known to excel in space and had played most of their football higher up the pitch (both Dele Alli and Wayne Rooney). England played a spaciously disastrous 4-3-3 against Iceland, with two key players playing out of position. England completed 451 passes in the match, about three times to Iceland’s 173. Roy Hodgson’s side made 18 attempts on goal to Iceland’s 8, out of which five were on target for both. What went wrong for the English? The game-play. Slow and uninventive, the side’s only strategy was to give the ball to either Sturridge or Sterling, who were to run at Iceland’s defence and create something out of nothing for the singled out Harry Kane. Cramped for space, the English side lost the game due to their manager’s rigidity who did not want to play according to the set of players available at his disposal. Midfielders like James Milner, Adam Lallana and Jordan Henderson were adorning the bench for the Three Lions as Hodgson was smoothening the ego and reputation of leader and legend Wayne Rooney and untouchable young star Dele Alli. Raheem Sterling was asked to do too much on his own and Daniel Sturridge has more recently been found on the injury table more than on the pitch. Marcus Rashford came on in the 86th minute and in his 4 minutes + injury time stay on the pitch, had more successful take-ons than the entire England side over the last 86 minutes. Here, this was the problem. The team did not feel confident in getting past players. Too many horizontal and backward passes didn’t help their cause as England, once again, failed at a major event. With the players available on the roster for Roy Hodgson, we tried to make a more effective possible XI. In this 4-2-3-1, England manager Roy Hodgson would have given his team more fluidity in attack. In this formation, players take in the position they play week in week out for their club sides. Eric Dier and Jordan Henderson add the right amount of physical presence as well as passing ability in the middle of the pitch. Dele Alli plays just behind Spurs frontman Harry Kane, exactly in the roles they excel at the club. Marcus Rashford has terrorised every league defender he has run at and Raheem Sterling’s speed on the wings is second to none. With enough security behind, the top four would be free to interlink passes well and be dynamic and creative. For the second half, one certain player comes in: Adam Lallana. The Liverpool midfielder has been superb since last season and has been a huge revelation, justifying his price tag well. Dele Alli must be given enough rest as young players need rest as well as mental space for creativity and not burning them down. Comfortable in defence and competent in attack, this formation with this specific set of players would have given England true quality and fighting capability on the pitch, which, however, was lacking in reality against Iceland. The game started with a 3-4-3 or a 3-4-2-1, but most of the game was played with a 3-6-1 formation. Gareth Southgate used his resources well and picked his formation according to the merits of the players available. With two ball playing defenders Michael Keane and Gary Cahill flanking a clearing stopper in Chris Smalling, England were sure to keep the gaps well covered. 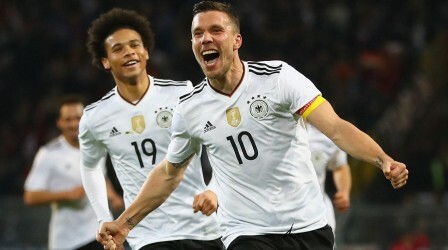 England played a high pressing and positive game-play against Germany; A moment's brilliance from farewell man Lukas Podolski tilted the game in the opposition's benefit. The lines were managed by physically imposing and effective Eric Dier, who was playing the screener yet again. Helping him in the defensive and the distribution duties was returning midfielder Jake Livermore, who dominated the game pretty well. Flanking the wings were attack-minded full-backs Kyle Walker and Ryan Bertrand, who are faster than most in the English side. Kyle Walker in the place of Clyne gives an added physical presence, much needed against the Germans. Dele Alli and Adam Lallana were playing just behind the back-in-form English striker Jamie Vardy and the young and hard-working side troubled the Germans throughout. 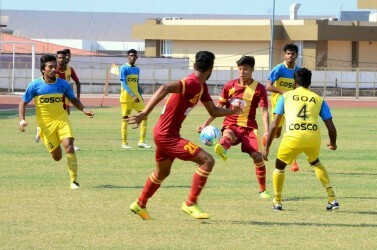 The team played a high pressing game, and caught the opposition short on several occasions. Two players were absolutely key to this game-play: Eric Dier and Adam Lallana. Playing in a diagonal shape, these players added different dimensions at both ends of the pitch. Dier covered a lot of ground and was the most physical player on the pitch, clearly performing in tune to his manager’s ideas. Lallana, on the attacking front, was the lynchpin and was looking to play the anchor with Dele Alli and later, Marcus Rashford. This formation and game-play was plausible only because it was made according to the opposition and to the strength of the players available at the coach’s disposal. 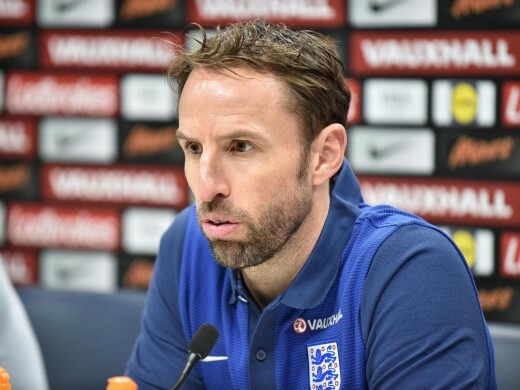 Southgate, in the times to come, might vary the selection and the gameplay, but we can hope for more smart performances from this evolving English side, which has kept four clean sheets in its last seven games under the former U-21 gaffer. England look to be on the right track working within limits and this can be seen as a renovation of sorts for the Three Lions, a thing which was certainly needed.